Part of the group (July’08) . (K. Eng, X. Li, S. Keles - A. B. Yavuz, D. Chung, P-F. Kuan). Thursday group July’08. Farewell to Hector, Weiliang and Ted. Dr. Pixu Shi: June 2016-. Dissertation title: Simultaneous Dimension Reduction and Variable Selection with Sparse Partial Least Squares, with Applications to High Dimensional Genomic Data. Current position: Assistant Professor in the Department of Statistics at Purdue University (Fall 2010 - ). 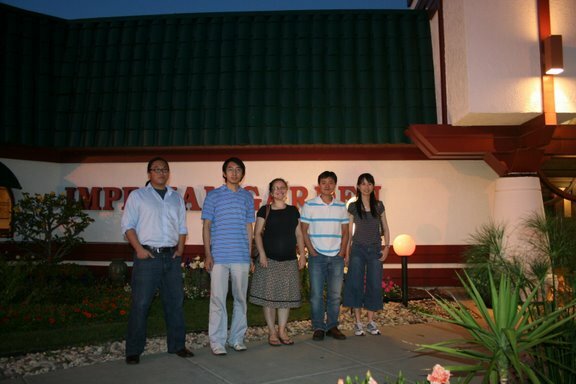 1st replacement: Postdoctoral researcher at Prof.Hongyu Zhao’s group at Yale University (Spring 2009-	Summer 2010). Dissertation title: Statistical methods for the analysis of genomic data from tiling arrays and next generation sequencing technologies. Current position: Assistant Professor in the Department of Applied Mathematics and Statistics at Stony Brook university. 1st replacement: Research Assistant Professor in the Department of Biostatistics at UNC Chapel Hill. Dissertation title: Statistical methods for neutral inference in comparative experiments. Current position: Assistant Professor of oncology, Roswell Park Cancer Institute. 1st replacement: Postdoctoral researcher in Prof. Kendziorski’s group. Dissertation title: Statistical methods and software for ChIP-seq data analysis. Current position: Assistant Professor at Medical University of South Carolina. 1st replacement: Postdoctoral researcher in Prof. Hongyu Zhao’s group. Current position. Quantitative Associate at J. P. Morgan. Dissertation title: Large-scale computation in genomic and epigenomic analysis. Current position. Data Scientist at Amazon-Audible. Kun Liang: Fall 2010-Spring 2012. Current position. Assistant Professor at the University of Waterloo in the Department of Statistics and Actuarial Science. Dr. Sam Younkin: Fall 2013 - Summer 2014. 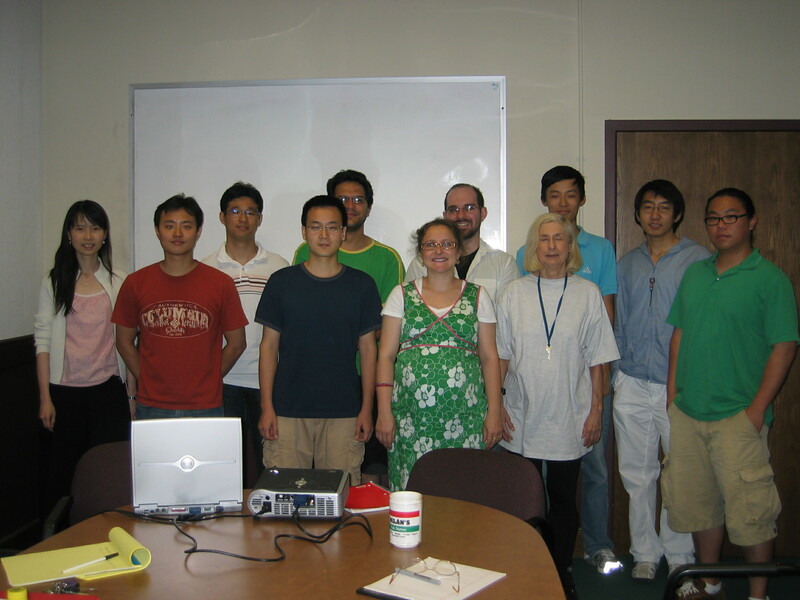 Dr. Qi Zhang: Summer 2013-Summer 2015. Current position. Assistant Professor in the Department of Statistics at University of Nebraska-Lincoln. Dr. Peng Liu: September 2013 - June 2016. Current position. Assistant Scientists in the Department of Biostatistics and Medical Informatics at the University of Wisconsin, Madison. Dr. Sunyoung Shin: August 2014 - August2017. Current position. Assistant Professor in the Department of Mathematical Sciences at the University of Texas, Dallas. Heejung Shim: Fall 2005 - Spring 2006. Xin Li: Summer 2008-Spring 2010. Chenliang Xu: Fall 2010-Spring 2011. Ju Hee Cho: Fall 2010. Jianan Tian. Spring 2011 - Summer 2011. Guannan Sun: Spring 2010 - Fall 2013. Nadia Abuelezam: Summer 2007. Undergrad research student. Participant of the Computational Biology and Biostatistics Research Program. Adam Hinz: Spring 2008-Spring 2009. Undergraduate programmer. Nick Etzel: Fall 2012-Spring 2013.